How to Potty Train a Child with Special Needs…. When is the Best Time to Start ? Almost all schools require your special child to be potty trained for them to be accepted. Especially if the schools have no educational assistants and of course, the special education teachers can hardly accommodate your kids’ ” accidents,” most of the time. For the parents of regular kids, potty training is not really difficult because kids usually show readiness as they age, which is usually from 18 months to three years old. Of course parents usually see resistance from the kids at first, but eventually they oblige happily. It is different though for your special child who develops later compared to normal kids. 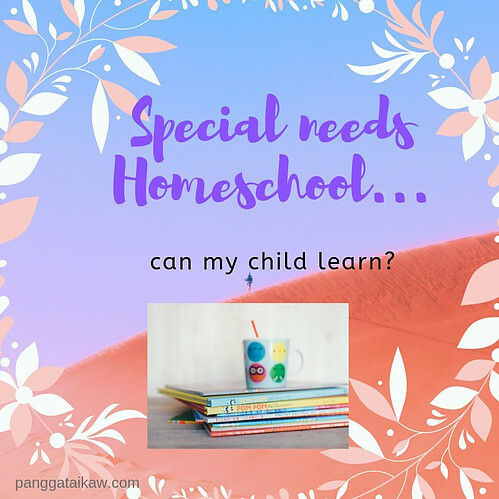 And this could be a real struggle for the parents, on how to potty train a child with special needs- especially if you are a busy working parent who wants your special kid to start school. Is there a right age when to start potty training? Because your child is special, you have to observe carefully if he shows signs of readiness. Of course, these signs show up later, and do not coincide with his chronological age. Ask yourself these questions and when the answers are positive, then your special child is ready physically and psychologically to be started on potty training. Therefore, the age when to start potty training varies from child to child. And will somehow depend on how they have developed physically and mentally at certain ages. Does he stay dry throughout the night? Is he dry at least for 1-2 hours at daytime? Can he sit with or without support? Can he keep his balance while squatting on the toilet bowl ? Is he able to walk without support? Is your child able to understand instructions? Can your child show in his face that he needs to poop or pee at certain times? Can he control his urge when you tell him? Even partially? Can your child know the difference between wet and dry? Does he ask to be changed when soiled or wet either verbally if able or tries to get the clean diaper by himself? Is he able to undress and dress himself, even partially? Does he know when he needs to go to the bathroom? A non-verbal child may give out sounds that he is pushing. Is there no added stress in the home like birth of a sibling or loss of one or both parents? We all know that special kids develop much more slowly than kids their age, so you need to really observe how he is developing and responding to your cues. Never rely on his chronological age so you won’t be frustrated. Bear in mind that they can be toilet-trained but much later than normal kids. Even normal kids will refuse toilet training at some point at the start of the training. Or would sometimes regress after having been toilet-trained for a while. Be very patient and understanding when your special one struggles with these issues. It is really important that you give all the support that they need to overcome these challenges. Once they feel comfortable and accepting of the training, it will be a breeze for both of you. Positive reinforcement- we see this in some potty training seats where the child is rewarded with happy tunes when they are successful. Or giving them something, like chocolates or just saying ” Good job! ” which will make them feel good or a happy dance or just clapping. Scheduling their poop or pee time- Making them seat on their potty or on the toilet bowl after every meal or before going to bed. Or making them pee every one to two hours. They will learn that doing it at certain times will make them do it successfully each time. Buying them the potty seat that they like or they enjoy. Reading them a book about potty training to give them ideas on how to properly do it. Letting them read a book or watch Nursery rhymes while they are seating on their potty. It will make them feel relaxed and focus on what they are reading or watching rather on how difficult they need to push. Happiness jar– Fill a jar with chocolates, lollipops, small toys, or notes about their favorite activity like a trip to the zoo or to buy their favorite book when they use the potty daily for a week. Celebrate in the evenings- when they stay dry during the day or they have used the potty successfully, celebrate by going to the park or do something that they enjoy before bedtime. Make them pee before bedtime even if they still wear diapers so there’s a greater chance of them staying dry the whole night. Or wake them up in the middle of the night to pee ( if it’s also comfortable for you or you’re still awake ) so he gets dry till morning. Diane has this to say about Nathan, who has Down syndrome and autism. He is now 12 years old and fully toilet trained. ” We started Nathan on potty training when he was still a baby; we would let him sit in the toilet bowl after every meal. His dad would let him pee before bedtime, at midnight, and wakes him up at 6:00 AM before he goes to work. We used positive reinforcement by giving him M&Ms; when he was successful. He was really happy about this. When he started school at 5 years old, he was still on diapers. At 7, he began to get upset with his diapers, so we did not put him on it anymore. He had few accidents at school ( twice at home ) then, so we would let him bring under wears and socks in his school bag. He can hold his bladder now for a long time, even during travels. His dad usually brings him to the bathroom every 2-3 hours to let him pee. Hailey who has Down syndrome and now 2 years and 7 months has not been started on potty training. 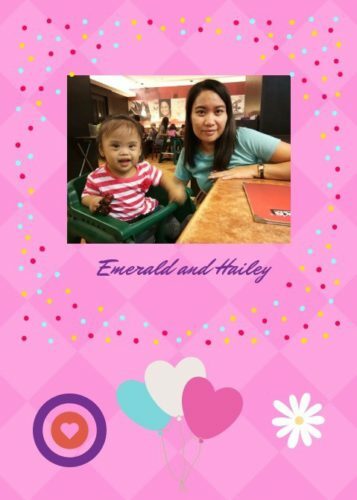 Her mom Emerald says she plans to start her when she is around 2 and 11 months basing on the experiences of other moms in the Down syndrome group that she joined in Facebook. As of now, she observes that Hailey can follow simple instructions like if she wants her milk, she will say “dede,” and her mom would ask her to get the bottle and she will follow. 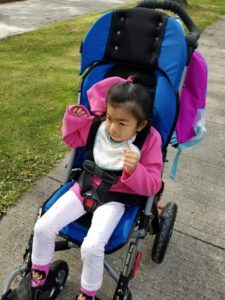 Emerald would like a little more time for Hailey to increase her level of cognition because she observes that when Hailey runs she’s still not concerned of her safety. Another Down syndrome kid, Mark, who is now 10 years old but still non-verbal, is only partially trained. Lee, his mom, started potty training him when he was around 5 years old . They would let him sit in the toilet bowl after breakfast and dinner to poop. At least every hour, they would let him pee in the toilet as well. Mark was dry at night at around 7 years old and did not want to wear diapers anymore. He goes to school without diapers but still would have accidents. At home, he would just pee anywhere. Likewise, he never goes to the bathroom on his own. Check out these books on potty training. Click the images to see the price. It takes lots of patience, understanding and motivation to stay focused and determined to make toilet training successful. Just remember that like your special child’s development, toilet training likewise takes awhile to be a success. Count every day and his small wins and reward him and yourself for these little accomplishments. He will eventually refuse to wear his diapers and will be happy to sit on his potty or the toilet bowl to do his thing. And you will both dance with joy once he does it on his own, every day, every time. 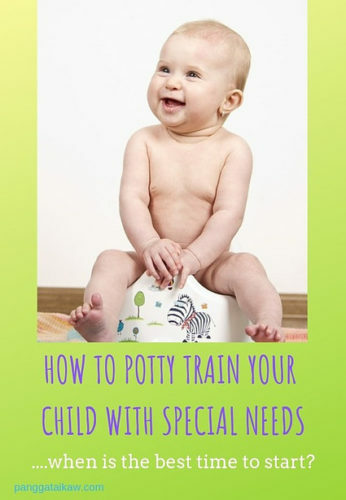 Author MaritaPosted on March 10, 2019 April 11, 2019 Categories Family, Special kids16 Comments on How to Potty Train a Child with Special Needs…. When is the Best Time to Start ? Your special child maybe slow in his development but for sure, somewhere in his timeline, you feel that he is about or almost ready to ditch his diapers. This is really important because most special education programs require special kids to be toilet-trained partially or fully before they can be accepted to the school. Aside from observing if your special child is ready for the training, like he can follow simple instructions, he can sit comfortably in the toilet bowl, he is dry the whole night or at least 2 hours at daytime, etc., choosing the best potty training toilet seat for your child could make a big difference. If he likes what you buy for him, he will be interested at all times to sit on it and will be potty trained in no time. I have looked at the ten best potty training toilet seats in the market today thinking of their usability, durability, comfort, pleasure and interest for your child when using it. Click the image or here to see the price. It measures 6.5″ or 8.8″ from floor to step ladder. It measures 16.1″ from floor to seat. Suitable for boys and girls with pee catching design to sustain their interest in toilet training. It can be easily assembled ( even kids can help their parents ) to fit in a toilet ranging from 14″ to 16.1″ from floor to toilet bowl seat. The sturdy design lets your child walk up and down and sit safely in the toilet. Very easy to remove and fold so the adults can use the toilet after your child is done. It comes with a padding on the toilet seat to make your child comfy when he seats. Best for 1-7 year olds, with the footrest being adjustable as your special child grows up. The very wide step and handles make it safe for the kids. Can also be used as a stepladder when kids brush their teeth. The stairs make it interesting for the kids. Does not fit high toilets over 61.1″ high. The splash guard is not tall enough for little boys. The seat is wide for small kids, so they have to sit closer to the front for them to feel safe, but makes their pee not fall properly to the toilet, rather ends up under the foam cushion or drip down his leg unto the floor. It is not that stable when folded and propped against a wall-needs a clip to keep it closed. It can be adjusted to the size of your toilet seat. it is easy to install and to remove when an adult needs the toilet. Easy to bring to travels because it comes with a handle. It comes with adjustable handles and 4 non-slip strips at the bottom to secure your child in place and prevent falling. With a soft cushion seat to make your child enjoy sitting comfortably. The cushion is removable for easy cleaning. There is a storage hangar that can be used on the side of the tank. It is light and doesn’t wobble. The lock is only useful for oval toilet seats. It is quite bulky to carry around. Suitable for all kids from 1-7 year old. Comes with a free brush for cleaning. It is BPA-free- warm in winter, breathable in summer. The multi-layer protects baby’s skin and comfortable. With non-slip strips and adjustable levers which secures the set in place so the baby feels confident that he will not fall. With an integrated urine splash guard so the urine does not go to the floor. The adopt soft cushion is removable for easy cleaning, thus more hygienic. Easy to adjust and fits multiple styles of toilet seats. The high back rest makes the child feel secure. A lot of force is needed to tighten well the locking mechanism for the ” bars ” at the back. Cannot fit some toilet seats. It could be used 3 ways: as a potty chair, a step stool or a trainer ring. Splashguard can be removed for the boys. Can carry kids up to 100 lbs ( 45.4 kgs ) to be used as a sturdy stool. The friendly ducky character is inviting for small kids. With 4 tunes and fun ducky sounds that encourages your child to sit down comfortably and enjoy the music. ( thus requires 3 AA batteries ). It is easy to bring for travel. The feet of the potty can be removed by taking off the screws if space in the car is limited and they can be easily put back when needed for stability. With handles that make the kids feel secure. The removable bowl makes cleaning easy. By removing the potty ring to fit in the adult toilet makes transition easy for bigger kids. The sound goes off randomly especially when it’s older. The songs play at times even when not in use which can become annoying especially at night. Requires 2 lithium metal batteries ( included ) with a battery life of 6 hours. For kids 18 months up to 50 pounds. Comes in white and pink colors. With a removable clip on splash guard for boys. It helps the kids to transition easily because of the ” adult ” look. With a flip up lid design, to let boys easily pee while standing up. The removable bowl makes it easy to clean. With a built in wipe dispenser that keeps flushable wipes easy to reach and promotes hygiene. Makes your child feel rewarded with the flush handle with realistic sounds. The removable splash guard can fall off easily which makes peeing of boys a challenge. The seat cannot be detached from the potty if you plan to use it as toilet seat insert. It slides easily across the floor. It takes a lot of space in a small bathroom. Cannot be easily stored unless you disassemble it. Too many cracks and crevasses to wipe down. The back part does not stay on very well. Easy to lift out and clean inner potty. With rubber strips on the bottom that make it stable. Difficult to store because of the big size and awkward shape. Hard to bring to travels because of the big size. Light weight, very durable and easy to assemble. Has a high back for support making it comfortable for the baby to sit. With 4 legs made stable with a non-slip rubber base. A raised splash guard prevents accidental spills. Provided with a lid and a removable potty to make cleaning easier. Needs careful placement of the child in the seating position for safety and happy experience. Kept in place by a non- skid bottom. The lift-out pot makes it easy to clean. Because it has no lid, you are encouraged to clean it right away. Some little boys would think it is a toy, so would push it around. With the pot being black, it is hard to see the pee and the poop. Not suitable for tall boys, too low that urine will splash everywhere. The seat is not very comfortable and leaves marks on a kid’s buttocks. Light weight and easily movable. With a concave splash guard with a little rim inside to contain his pee inside. The book walks the kid through the potty process. Listening to the story distracts the kid as well and makes pooping relaxing and easier. The book is plastic and can be soaped and washed. The cute story in the book will make your child proud for getting potty trained like a big kid. The sensor will stop working after a while and could also sound randomly. There you go, I hope you have found something useful for your special kid, a potty toilet seat that will inspire him to go back again and again until he is fully trained. If your child is still small, my personal choice would be the Fisher-Price Laugh & Learn, Puppy Potty because it is comfortable, easy to clean and with additional bonus, that includes the electronic book and the positive reinforcement that it brings through the fun phrases, songs and realistic flushing sound. For bigger kids, my choice would be the BabyBjorn potty chair because it is stable and comfortable for the kids. Likewise, it is easy to clean and comes in different colours. It could be used by both girls and boys, as well. 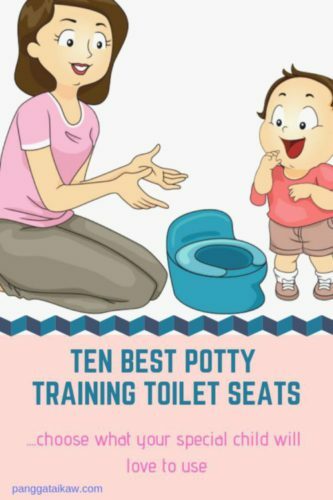 Depending on the capabilities and readiness of your special child, toilet training could be a struggle or a big challenge but with the help of the potty training toilet seat and your patience in training your kid, they will eventually hate their diapers and you will soon forget how hard training was. Just try to be very patient and put some fun in letting your child be successful a lot of times. Does your special child show readiness for potty training? Are you planning to buy a potty training toilet seat soon? Or if you are now potty training, how are your experiences? How to help autistic children – become an autism tutor! I wanted to be an autism tutor. When I was a new immigrant a decade ago, I thought it was awesome to be teaching kids with autism. I believed I could do it because I had clinical experience with kids. I knew it did not pay much, but being with kids again would let me use my medical skills on how to help autistic children. I tried to apply once, somebody called and asked me if I was willing to relocate. 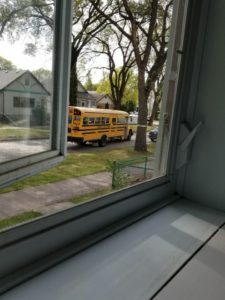 Little did I know that the job as an autism tutor that I applied with is a few miles away from where we lived and would make it impossible for me to commute daily. Of course, I couldn’t move to another place, having arrived only a few weeks back. I just accepted that it’s not meant for me. So, I worked at a call centre just to earn something while I prepared to do exams to hopefully get a license to practice my profession in a foreign land. Until one day, I was out of job again. Thinking of applying as an autism tutor for the second time, I did a first aid course hoping that I could be hired easily if I had this requirement. With perseverance in looking for a healthcare-related job, I landed employment in Clinical Research. This is where I met Rachel. We now work in the same department. I know she recently graduated from a Psychology course and I learned that she used to work as an autism tutor. I got excited and encouraged her to share her experiences tutoring children with autism and she gladly accepted my request. How many years did you work as an autism tutor? What motivated or inspired you to become an autism tutor? “While I was completing my undergraduate degree in honors psychology, I had an opportunity to volunteer with a school division, tutoring a young man who was diagnosed with autism spectrum disorder and Tourette syndrome. Through this experience I found a passion for working with individuals with disability. Following this, I started doing respite for an adult with autism spectrum disorder and cerebral palsy, and decided I wanted to focus my undergraduate research in this area. I met with a professor whose PhD is in the area of Applied Behavioral Analysis and we settled on thesis research looking at the results of a short-run early intervention program on skill acquisition in children diagnosed with autism. Can you describe your job? How old were the kids with autism whom you cared for? ” My job involved one-on-one program delivery for children diagnosed with autism spectrum disorder. I worked with both families and children teaching a variety of individualized skill sets and goals in all facets of the child’s life. It heavily involved creatively finding new and interesting ways to deliver the needed programming within a variety of settings (e.g., daycare, pre-school and homes). This also involved organizing and recording both data and notes on the progress of the child. I had three clients during my time as an autism tutor; the age range was 3-5 years old. I worked under both a senior tutor and an autism consultant; every child had a team of one or two tutors, one senior tutor and one consultant. Can you explain more on what you did as an autism tutor? What was your typical day like? ” Typically, I would have two clients over a year. I would spend one full day with one client, then the next day with the other client. I shared my clients with another tutor so we would alternate days. I would arrive at the client’s home early in the morning and look over the previous tutor’s notes from the day before. From there I would set up all my stimuli for the programs and skills I would be working on that day. An example of this would be setting up sorting stimuli for a program that requires the child to sort different colors of objects into piles. The programs were all based on Applied Behavioural Analysis (ABA) principles and theory which focuses on positive reinforcement strategies. ABA focuses on the principles of learning in order to alter behaviours and improve skills. Throughout the day I would run the programs provided by the autism consultant in between breaks of play and fun! It was very important to keep things fun for the child and make the programs not feel like work, but like play as much as possible. The child was able to work for play activities (e.g., playing in the backyard on the bike) or edibles (e.g., skittles). We would take a lunch break as you would if you were in school and then at the end of the day I would write notes in our communication book for the tutor who was coming in the next day. Did you have any struggles or challenges in your job? ” Overall, my experience as an autism tutor was extremely rewarding. However, working one-on-one with a child who struggled behaviourally could be very exhausting and I experienced some days where I felt extremely burnt out. A significant challenge would be the independent and isolated aspect of the job. If the child had a particularly hard day, it was only me who was in the home and I had to be the one to figure out how to handle it and make the day more positive for the child. How did you handle a very difficult child? ” Every child diagnosed with autism spectrum disorder is so different. Difficult or challenging behaviours manifest in a variety of ways. For the most part, if a child had any difficult behaviours the consultant would have a behaviour plan in place which had consistent steps on how to handle this behaviour. Weighted dolphin neck wrap to calm your kid’s anxiety. 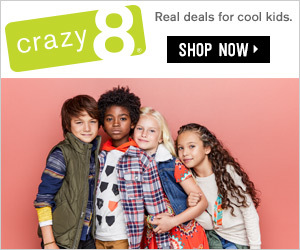 Click the image to buy. Weighted vests to help your kids relax and calm his nerves. Click the image to see the price. How did you involve the parents in teaching their kids? ” I believe I discussed this question a little bit above. However, yes the parents were heavily involved in teaching the kids. In fact, they had their own programs that were sometimes similar, or different, to the programs the tutors were running. Parents worked privately with the senior tutor and consultant in order to learn how to deliver programs and were expected to work on these in their spare time with the child. As well, the parents were able to speak with me before sessions, as well as after, with any concerns or questions they had about the progress of their child. It was a very collaborative environment. In this type of early intervention it is so important that parents and tutors are all on the same page and keeping consistent expectations for the child. How did you feel at the end of a workday? ” I usually felt pretty tired at the end of the day, but at the same time I left work feeling fulfilled and happy. My clients made me laugh and smile every day! What made you happy or fulfilled on a certain day ? The most fulfilling thing was when you were working with a child on a certain skill for a long time and then it finally clicks and they learn that skill! An example would be one of my clients struggled with verbal skills, in particular greeting others when getting to school. We worked on saying “Hello” and making eye contact for months and then one day when I walked in to the house they looked up at me and said “Hello, Rachel!”. What is your best advice on those who plan to pursue a career as an autism tutor? ” My advice would be to make sure you are okay with independent work. 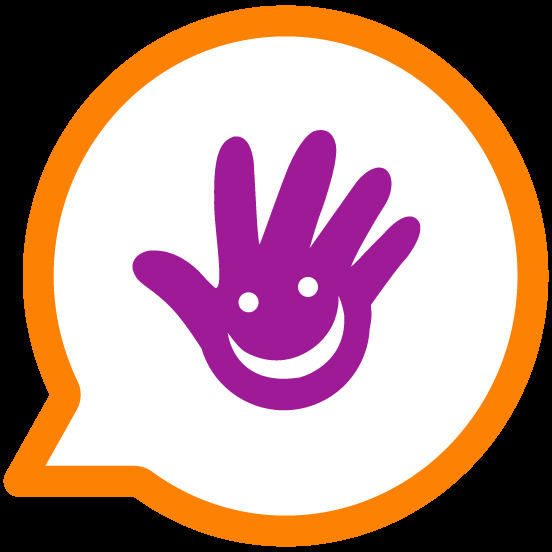 One-on-one program delivery with a child, who is not always verbally able to communicate with you can be very isolating. Click the image to buy a book of your choice. How did you de-stress after a difficult day? ” After a particularly stressful day, I would try my best to go home and not think about it. What helped would be taking time for self-care, whether that is having a bath, going to a yoga class, or spending time with friends and family. When you are doing a job that involves being very attentive to others’ needs it is important that you are able to disconnect and take time to focus on your own needs as well! How have you made a difference in the life of an autistic child? 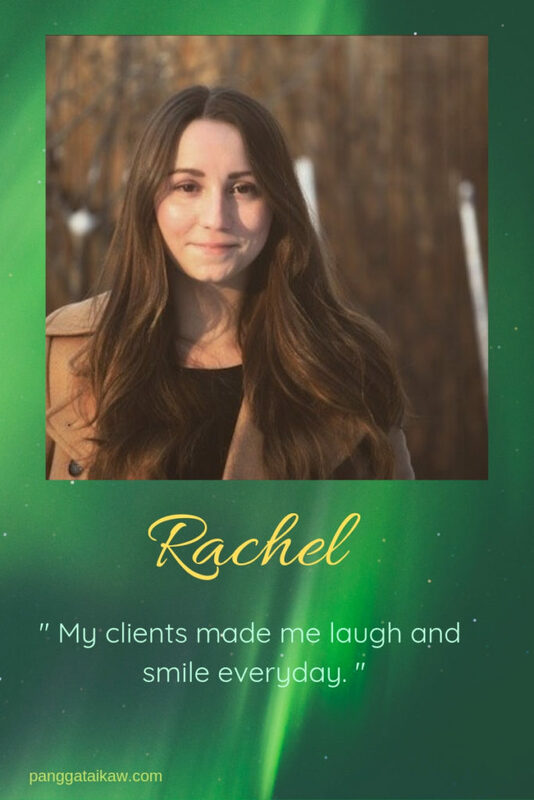 ” Within this job, there were many moments where I took time to reflect on the positive impact I was having on my client’s lives. Typically, a child goes through a year of the program and then begins Kindergarten. Probably the most rewarding moment is before kindergarten when as a team, we reflect on the child’s gained skills and how much they have learnt. What is the best lesson that you learned from a child with autism? ” This is a hard question because I have learnt so many! My clients taught me just as much as I taught them. The things I felt or thought before I started working as an autism tutor were only strengthened from this job. If anything, I learnt the importance of appreciating every person’s individual differences and how everyone is special in their own way. We have to accept people for who they are and celebrate these differences! Like I mentioned above, every child with autism is so different, and this is what makes them special. Rachel, from your stories, I know that doing this job made you a better person now. More open to everyone’s differences and more patient with people’s shortcomings and inadequacies. I may have been unlucky to do this job and not experience the feeling of fulfillment after a day’s physically tiring job, but the encounters that you shared, made me realize that being an autism tutor is one of those professions where money may not be great, but the rewards to yourself is so great having contributed to a special child’s well-being and preparing him to become the best version of himself. Given the chance, I would still want to experience working as an autism tutor. Have you recently engaged with an autism tutor? Or do you know anyone working as one? Try to give them a big hug for the awesome job that they are doing. If you are a parent of a child with autism spectrum disorder and he is taken cared of by an autism tutor, please share with us how your child is being helped and how he is developing and trying to evolve to be the best that he can be. 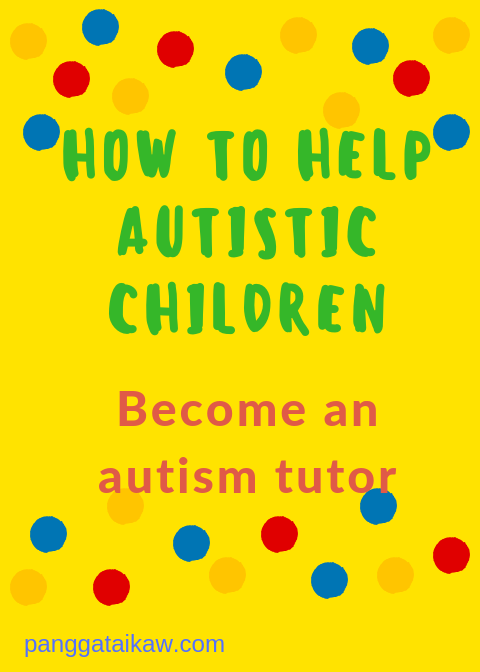 Author MaritaPosted on January 11, 2019 January 15, 2019 Categories Special kids, Therapy39 Comments on How to help autistic children – become an autism tutor! Best Christmas gifts for kids with special needs- what to give and get the biggest hug! I remember when I was a kid, I would always wait expectantly for Christmas day because this was the time when I would go to my godparents’ house, hug them and ask their blessing, then I would get a full plastic bag of goodies in return. Life was simpler then and we lived in a very small town where neighbors chat with each other outside their homes and practically we knew everyone in the neighborhood or maybe even the whole town. My mom knew how to sew so I and my sister would happily wear our Christmas dresses which looked alike. We felt like we were twin dolls lol! How about you? Have you started your Christmas shopping this year? So what are you planning to buy or add more if you have purchased some already? I did some research and compiled this list for the best Christmas gifts for kids with special needs and for sure when they get these, they will jump with joy and you will get the biggest hug ever. Don’t forget to click the images to see the price of the toys that you want to buy. More than enjoying playing with toys, our kids with special needs, especially if they are non-verbal, would squeak with delight the first time that they open a toy and find it talking or emitting sounds or giving out beautiful lights. Like this baby hammer toy that triggers light and sound when pounded. Or this interactive toy school bus with flashing lights and sounds. Be sure to buy also toys that are educational, so their creative minds will be enhanced, as well, communication skills will be developed. This dinosaur wooden puzzle will teach your child the alphabet, as well develop his fine motor skills and imagination. 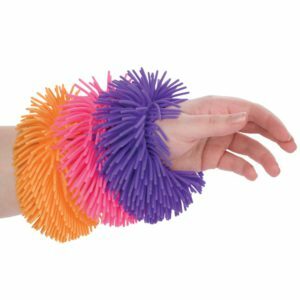 The theraputty will enhance your special kids’ fine motor skills and creativity. I love giving books as gifts to my nephews and nieces. I believe that books are the best gifts if you want the kids to enjoy reading as they grow up. Reading to your special child is a very good bonding time as well, next to playing with them. Before going to sleep, when you lie side by side in bed, reading to them their favorite book not only will allow them to develop communication skills, but their imagination as well. Even if they are non-verbal, I’m sure they are able to understand in their own little way what you are reading to them especially if you make your reading more enjoyable by acting out the story, like voicing out animals’ sounds for example. First word books or alphabet books like these are very educational and be sure to buy books showing beautiful pictures, as well to catch the interest of your kid. Story books, likewise would be one of the best gifts. Choose books that impart moral values about love of God and family. Likewise the values of respect, sharing , and empathy. These story books will surely give delight to your little ones. For older kids, these story books would be a hit. Love You Forever is my most favorite kids’ book. It tells a story of a mother’s love from birth to forever. It really touches a mom’s heart. It’s so beautiful! I will keep this book forever. I don’t mind reading it again and again. Collect their most beautiful photos from a recent holiday or his most memorable birthday and present to your special child in a beautiful photobook. Even looking at photos from since they were a baby until now will make them have a wide smile and they will enjoy turning the pages as they recognize themselves in the photobook. It is also a special album for the whole family to store your memories. Click the image below to see the price. We have an advertising relationship with the stores or businesses we link in this post. We'll earn a commission when you shop through our links with no added cost to you. You are able to help special children, as well in Romblon, Philippines. It is proven that music therapy has lots of benefits for our children with special needs. Let your special kid be jolly everyday by giving him something that he can play not only to let him enjoy but to improve his focus and communication skills. Let music flow in your homes everyday. Even just one musical instrument that he loves and plays a lot will improve everyone’s mood around the house. If your special girl loves to sing, this karaoke set is the best gift. You will enjoy hearing the angelic voice of your daughter even though her lyrics have some funny twists. This drum set for small kids ( 15 months up ) will enhance their motor skills and help them focus and engage. These harmonica are so easy to play, your special child just needs to blow through it and voila, there will be beautiful music that he can create. And he will enjoy doing it again and again. This xylophone comes with two sheets of music ( Twinkle twinkle little star and Mary had a little lamb ) which an older kid can easily follow. Discover the creative imagination of your special kid by giving him materials that he can use to draw, doodle, and create something that he can be proud of. Give him lots of crayons and colored pencils with paper and just let your special child practice to grip the writing materials and encourage him to just draw those lines and circles and let him use all the colors for him to enjoy and develop his writing skills and creativity. Show his works of art and put them in your fridge or the wall in his room. Appreciate his works at all times! For older kids who know how to properly grip crayons or colored pencils, this coloring book is a nice gift. These doodle pads are the right sizes for those small hands. They are also easy to bring during travel. These large crayons with 16 colors to choose from will delight your special child and inspire him to doodle or draw all the time. Mommies, you will love these washable crayons because they’re easy to clean up even if your kids draw on your walls. How’s that? What is Christmas for kids without new shoes and clothes? They usually want to show off their beautiful outfits when they go to church or go to their godparents and grandparents asking for their presents. Shop here for new dresses and clothes. These girls’ sandals will fit nicely on their feet and will hold on even though they have mobility issues. I bet they can’t wait for summer to use them. Might use them at home, lol! This flashing sneaker will be a hit with your special child paired with an awesome shirt. These squeaky shoes for your little girl will amuse her as she walks. Awesome shirts will make your kids’ Christmas more enjoyable! Check them out. The boys’ shirts come in three colors- red, blue, and black. Harry potter’s girl’s shirt in burgundy. Some beautiful bags or backpacks to bring around at doctor or therapist visits to put your special kids’ toys and other essentials would be a nice gift idea as well. Think of how the designs will give them joy. Your little girl will love carrying this unicorn kids’ backpack anywhere she goes. It comes with a lunch bag as well, which is very useful when going out to doctor’s visits or to school. This weighted huggy bear back pack will surely give comfort to your special one, being so huggable and soft. Click the image to see the price. Toys that will calm their anxieties are those that they can hug, like this weighted teddy bear and the Plush Pickle. They will enjoy carrying them and showing to their playmates, as well. When we think of gifts for Christmas, the kids are always the most excited. They would even trade chocolates or toys with money. They usually love getting presents that give them enjoyment. Opening those boxes or bags give them lots of perk! They even wake up really early on Christmas day to start opening their presents once their parents allow them. As parents, we are also excited shopping for them, even small items for their Christmas stockings. Their belief that Santa Claus is there to give them presents as long as they’re nice gives them more enthusiasm during the holidays. Even our children with special needs feel the excitement, so start buying those memorable gifts for them. Let us all enjoy Christmas with our families! Do you recall the time when your special kid jumped with joy when he opened a Christmas present from you? When is your most memorable Christmas with your little one? Did you have a gift that until now is still precious to him? 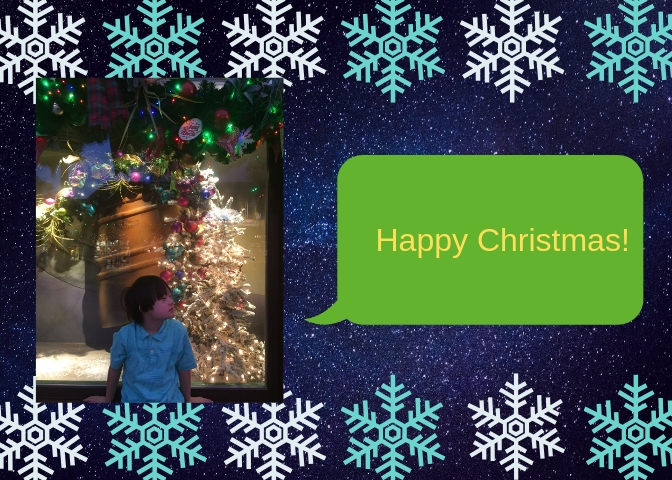 Author MaritaPosted on November 22, 2018 April 15, 2019 Categories Blogs, Family, Special kids52 Comments on Best Christmas gifts for kids with special needs- what to give and get the biggest hug! I luckily met another friend at Wealthy Affiliate who happily shares her experiences taking care of autistic and other special kids. She loves kids, that’s for sure. Some people, including me, even considers her an angel for doing her job really well and with passion. Meet Taylor, who offers behavior therapy for autism and other special kids, serving clients at the comfort of their homes. You will surely love her just like how her clients and their families do. As a Registered Behavioral Therapist ( RBT ), please describe what you do. “I have been an RBT for just over a year now. I work with children from as young as 3 to as old as 21, but the typical ages I see are between 3 and 15. Most kids have an autism diagnosis, but some have Down syndrome or other types of intellectual disabilities. Almost all of these kids except the very young ones, attend special schools in the morning, or home-schooled, so I see them in the afternoon. On a typical day, I start my session out by hanging out with my client to give them a bit of transition time. 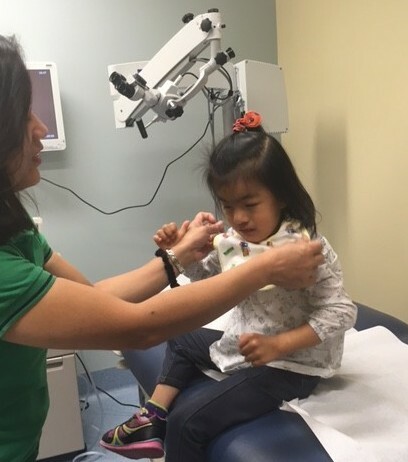 Then, I assist with things like daily living skills (e.g., getting dressed, brushing teeth, doing homework), skill acquisition (learning numbers, letters, colors, etc). Each client has what we call a behavioral service plan that tells me the types of things I do with them. What motivated you to become an RBT? “My inspiration to work with special needs kids came when I was a senior in college. ” On a typical day, I have anywhere from one to three sessions for 2 hours usually. As a direct care provider working in homes, I have a small caseload. What I do during each session depends on the age and skill level of the child. For my younger clients, I do a lot of playing to work on cooperation, turn-taking, and waiting. I also work on skill acquisition, compliance with demands, and behavior reduction. What that all means is, I work on having the child do what is asked of them without acting out. Often, what I ask of them is something they are not sure how to do, so I will teach them how to do what is asked while working on reducing the amount of refusal they put up. Do you have any struggles or big challenges on being an RBT? “ When you work with the special needs population, you often see challenging behaviors like aggression or high intensity tantrums, and even meltdowns. This requires me to be quick on my toes, in order to block any attempted aggression, while trying to redirect the child to something more functional. For meltdowns, in which the child has no control, being a sensory over stimulation, it is important to pinpoint what is causing it and eliminate it. If you cannot figure it out, or it cannot be eliminated, it is important to bring the child to a quiet place with less stimulation to help them calm down. ” Each child is different, so you need to figure out what works with them. Some kids have a really hard time complying with demands, so I will only give very small, very quick demands. For example, I will stop a child from playing to have them tell me what 2 letters are and then they can return to playing. This builds up a tolerance for demands without overwhelming them. I also use a lot of timers to signal transitions. Transitions are incredibly difficult for children in general, but more so for special needs children. So, when I need them to come tell me what those 2 letters are, I set a timer and tell them how long they have until they need to do their work. I give them a warning for each minute left. How do you involve the parents in caring for their kids? ” With in-home work, the parents are very much involved. A huge part of what I do is called parent training. I am there to help the parent build skills just as much as I am there to help the child. My job is to make life easier for everyone, so I teach the parents how to do what I do so that it can be continued even when I’m not there. How do you feel at the end of a work day? ” That depends entirely on how my sessions for the day went. Some days, I feel on top of the world because one of my clients finally was able to do something we’ve been working on for days or weeks. Other days I get in my car and cry because a session was so difficult. There are those days that, no matter what you do, the child is having a tantrum, throwing things at you, trying to hit you, and refuses to do anything you say, even if it’s something fun. ” What makes me happiest is seeing a child make progress. I have one client that has a speech delay, so she doesn’t say too much. We play a game called Zingo, which is like bingo but with pictures. Each day, I have her do her best to tell me what each picture is. One day, she got the piece with an owl on it. All by herself she happily exclaimed, “owl!” it was one of the best moments of my career. 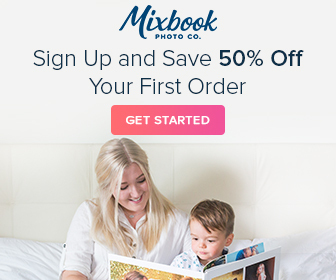 Create a photobook of your child’s special occasions. Click the image to view the price. Any advice on those who plan to pursue a career as a Registered Behavioral Therapist? “Take every bad day with a grain of salt and forgive. One of the hardest parts of my job is to turn around after a tantrum where you were hit and kicked and suddenly the child starts playing again, but you have to. He doesn’t mean to act out, they simply don’t know another way to express their anger or frustration. It’s my job to teach them those skills, so with every tantrum, I know there is still work to be done. “ I have a lot of different things that I like to do. I often come home and play with my cat and dog and watch some TV. On the days when I have a bit more energy, I love to build Lego (playing is great for the mind! ) . 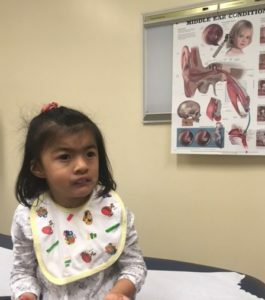 “ I mentioned before about my client saying “owl” on her own for the first time, but something a bit more special was when she was first able to get my attention by speaking. 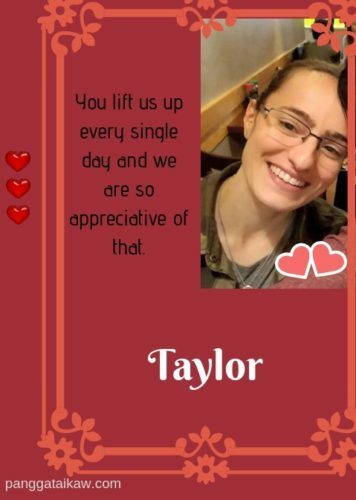 It is a bit difficult for her to say my full name, so we decided that she would just call me T.
For the first few months she didn’t really show an interest getting my attention by calling my name, but the other day, as soon as I got out of my car she said, as clear as day, “look! T is here!” I wanted to cry, I was so happy. For the rest of the session, anytime she wanted my attention she said, “T look!” I had been working for weeks to get her to use people’s names to get their attention and on that day it finally stuck. What is the best lesson that you learned from a special child/ children. “ I have learned to be more relaxed and to forgive more easily. Things don’t always go our way and while my kids do struggle with that and sometimes throw tantrums, they often bounce back and keep going. I have also seen how quickly they are to forgive me when I don’t allow them to do something that they want. I can’t always give them what they want, when they want it, which can make them very upset, but a few minutes later, it’s like nothing happened. They do a very good job of letting go and moving on, which is something we all need to be better at. There’s no sense in holding onto things we can’t change. Did I miss anything? Do you have something more important to share ? ” People always praise me and tell me what an angel I am for working with these kids. I don’t see it that way. I don’t think I’m special for doing what I do. I do what I do because I love the kids and I love seeing them progress. Not everyone can do what I do, but the same goes for any job. I’m not built for an office job. I couldn’t do it. I admire those people. What I do is necessary, but I don’t think I’m any sort of special for doing it. WOW! What a very inspiring story of a very dedicated behavioral therapist. I can truly feel how Taylor loves her job and her kids. Her patience and forgiving nature is something so remarkable. She is like a mom and a teacher in a package. 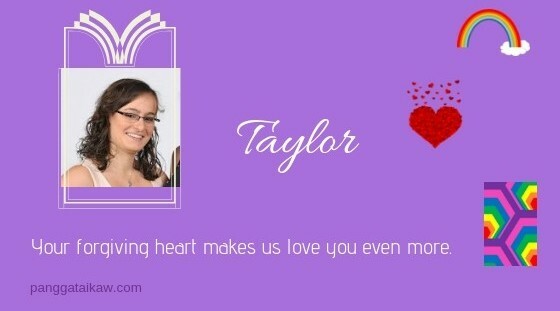 BTW, Taylor is also a blogger, who writes about how to help children as well as adults cope with stress and frustration. 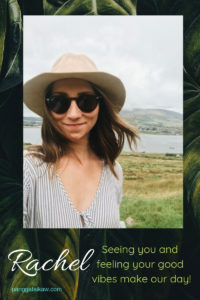 Check out her awesome articles at https://brainbreather.com. You will enjoy reading them and will learn a lot. Is your special needs child being taken cared of by a behavioral therapist? How is he coping? If not, do you consider looking for someone to help your child develop better skills to make his life as well as yours, easier? We have an advertising relationship with the stores or affiliate sites we link in this post. We get a commission when you click and buy products or services with them. You don't need to pay more. Join me and Taylor at Wealthy Affiliate, where you will have trainings to start your online business for free! Click the image and see for yourself what it has to offer. Is music therapeutic? 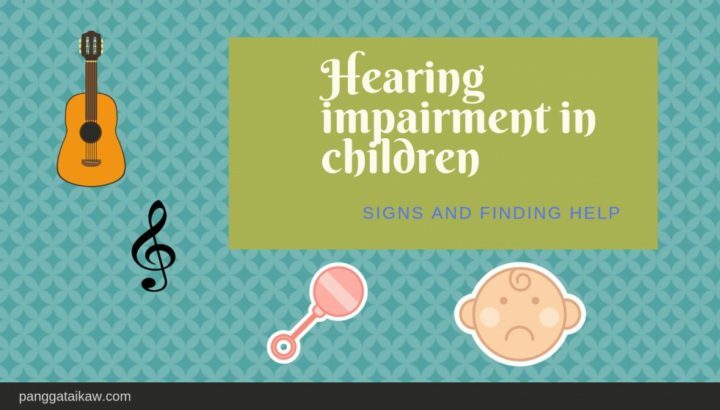 Know the benefits for your child with special needs. With or without musical talent, your special child can benefit from music therapy. Pangga, my sister with Down syndrome who passed away a few years back, loved to sing. She had a good voice. She could follow the notes and the rhythm to the beat. Because Pangga never learned how to read, she memorized the songs’ lyrics just by listening over the radio, hearing other people sing or watching television. There were of course funny twists to the lyrics. I would say, she taught herself to be jolly by singing. Music definitely was therapeutic for her. Even at late nights when she couldn’t sleep ( she slept all day, that’s why ) she would belt out a song to the annoyance of whoever is awakened by her rendition. Funny eh? At the back of your mind, you may have this question, ” Is music therapeutic for my special child? ” Will it help him overcome his inadequacies? Music therapy is a creative arts therapy – it involves a process used by music therapists to help clients improve their physical and mental health. Furthermore, music therapy encompasses the skillful use of music and musical elements by an accredited music therapist to help and improve not only the mental and physical health but also the emotional and spiritual health of a person. For our children with special needs, music therapy improves their focus, engagement, communication, and even their mood. Music therapy has been used way, way back, even in biblical times to affect human emotion. David’s harp music soothed King Saul. Several cultures, like the ancient Greeks used music for healing. Veterans Administration hospitals following World War II recognized that music helps their patients, so it was acknowledged as a complementary healing practice. Musicians were continuously hired at the hospitals from then on. In the hospital where I work, I’ve been seeing musicians, like guitarists or a violinist play their thing at a corner of our institution almost everyday. This video shows how Ryan Judd, a music therapist, teaches his clients, all with special needs, on how to focus, improve communication and a lot more. Music therapy motivates communication. Even if they are non-verbal or cannot express themselves well, the special kids’ facial expressions and their big smiles or laughter say it all. Music therapy makes the body move and may cause bouts of laughter. That means that the child enjoys the music and the encounter with the therapist. They learn to dance with the music. Music empowers.The kids become proud and fulfilled that they are able to learn something to share. Music therapy helps address academic concepts and speech goals. The kids learn more vocabulary and even how to connect with people around them. Music therapy rewards communication. The kids learn how to express themselves. It re-directs and engages. This is really helpful for kids who have meltdowns. Music therapy inspires and leads to social connection. Again, these special kids enhance their capability to open up to people especially to their families. It honors and enlivens a chid’s spirit. Kids are uplifted and become jolly because of music. Just like Pangga, my sister, who taught herself to be happy by singing to her heart’s content, anyday, anytime. By playing the musical instruments, your child’s gross and fine motor skills are enhanced. Look for a music therapist who can teach your child how to engage, enjoy music and improve his well-being through music. Let us learn from Benji, who was diagnosed with autism spectrum disorder at 2 1/2 years and eventually learned how to communicate and able to cope with school, with a big help from his music therapists. Pangga loved the harmonica; she enjoyed playing with it daily. You would see her smiling wide when she holds it and blows air to make music out of this tiny but awesome musical instrument. The harmonica lets the special child focus and be attentive while he is trying to produce music. The music per se, gives him joy and calms his nerves. It is so fulfiling for your special child to learn that it’s so easy to make his favorite musical instrument work and produce musical notes on his own. He can control it, make his music soft or loud, long or short, happy or sad. Any musical instrument has the capacity to engage your special child. Observe your child while with his therapist, and see which is his favorite so you may decide to buy for him to play in your home. As always, our homes are the first point of learning for our children with special needs. Thus, music therapy should begin at home or continue if your child is with a music therapist already. It should be easy to do it. Fill your home with music. Always turn on your radio or television to musical channels. This way, your child and the whole family will always be in a jolly mood. With less stress and more smiles and laughter around. Or if you have a stereo or DVD player, it’s good to buy music like this to help with the anxiety of your special kid and to uplift his mood on a daily basis. For younger kids, the Nursery Rhymes would encourage them to dance and improve their language skills. Buy musical instruments and let the whole family play their choice, even your special kid. Just like Pangga with her harmonica. Click the image to see the price. Your home will always be set in a joyful mood if your child with special needs learn to play even just one musical instrument. Just tapping on the piano randomly will bring out simple music that he will enjoy. Or blowing on the harmonica will surely let him have a wide smile and laughter. When you constantly engage with your child and participate in his music, you will form strong bonding relationship and in time, his communication skills will be enhanced. Enjoy music with your special kid. It’s never too late to start. 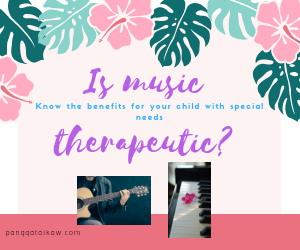 Most importantly, enrol him in a music therapy class and reap the awesome benefits. Have you enrolled your special child in a music therapy class? If so, how is he doing? If not, go find the best music therapist in your area and enroll him now! Make a website of your passion or hobby and make money online ! Learn how at Wealthy Affiliate for free! Click the image below. Author MaritaPosted on October 8, 2018 November 9, 2018 Categories Special kids, Therapy38 Comments on Is music therapeutic? Know the benefits for your child with special needs.